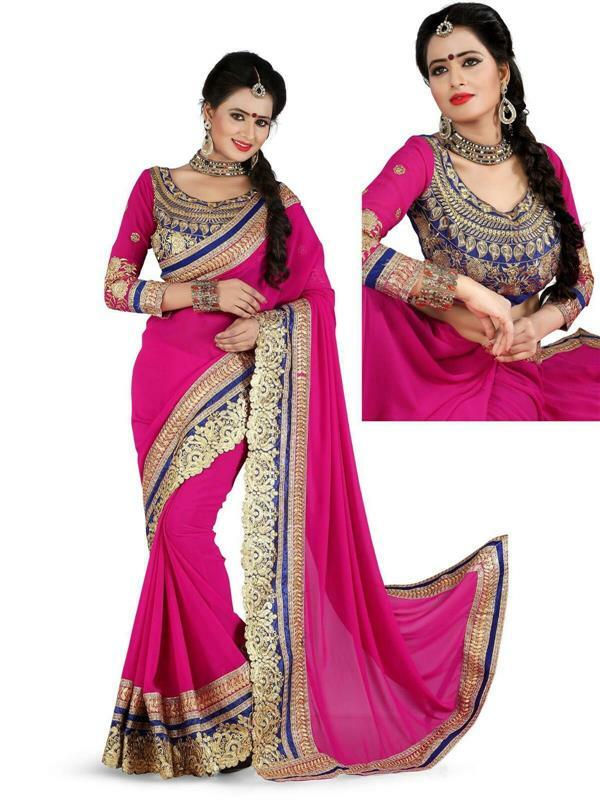 Amazing apparel to intensify your unseen beauty. 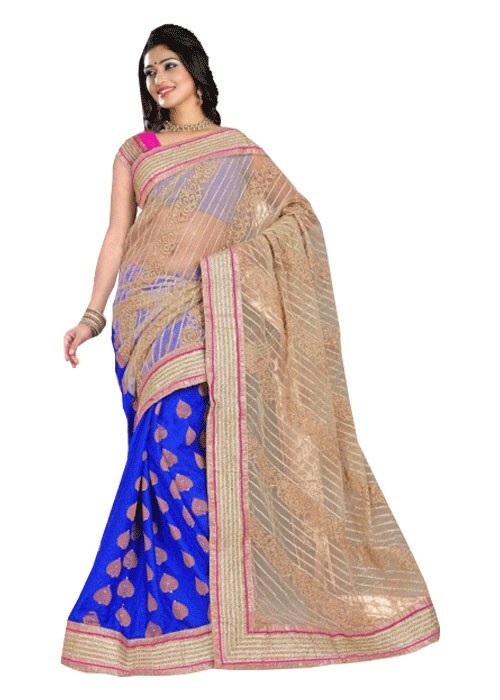 The half n half beautiful saree with royal blue jacquard crapes and cream coloured net pallu. The saree is covered with beautiful rich embroidered border which amplify its look.